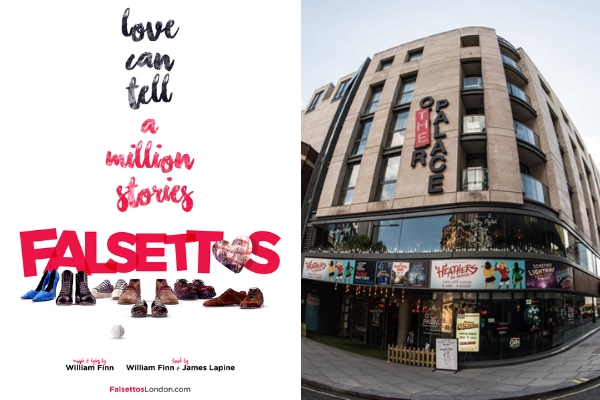 Our day in Falsettoland is finally here thanks to Selladoor Worldwide who is presenting the European premiere of William Finn and James Lapine’s Falsettos at The Other Palace from 30 August to 23 November 2019. It’s the first time UK audiences will have had the chance to see March of the Falsettos and Falsettoland professionally produced together here. We can’t wait. It will be the first time UK audiences have had the chance to see March of the Falsettos and Falsettoland – the two pieces that make up Falsettos by William Finn (music, lyrics and book) and James Lapine (book) – professionally produced together.